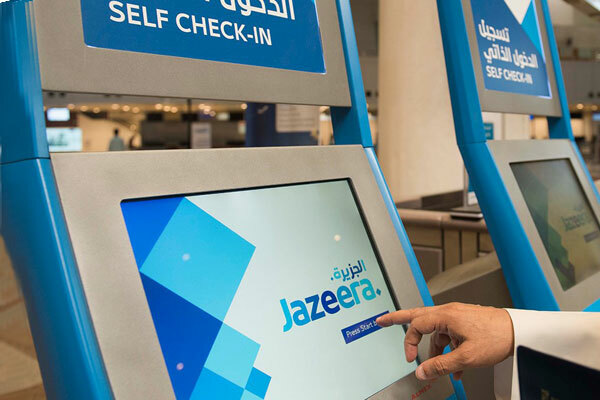 Jazeera Airways, Kuwait's leading low-cost carrier, has introduced new self-check-in kiosks at its Terminal 5 (T5) at Kuwait International Airport, in addition to a series of services and new offerings to make the travel experience easier. In addition to the self-check-in kiosks, the airline has introduced free wi-fi internet service at its gates at T5, as well as announced the opening of new restaurants and shops at the duty free and terminal areas. Jazeera Airways is also providing support to passengers with a dedicated Help Team present at the terminal and a 24-hour Terminal 5 call centre service at 176. The self-check-in kiosks service is available for passengers travelling to any destination served by Jazeera Airways.